A South Korean female portal recently held a “most charming king in sageuk historical drama” poll, and Kim Soo Hyun who is playing the role of king in The Moon that Embraces the Sun defeats Han Suk Kyun who plays the role of king in Deep Rooted Tree, becoming the king with the most charisma among female Korean viewers. 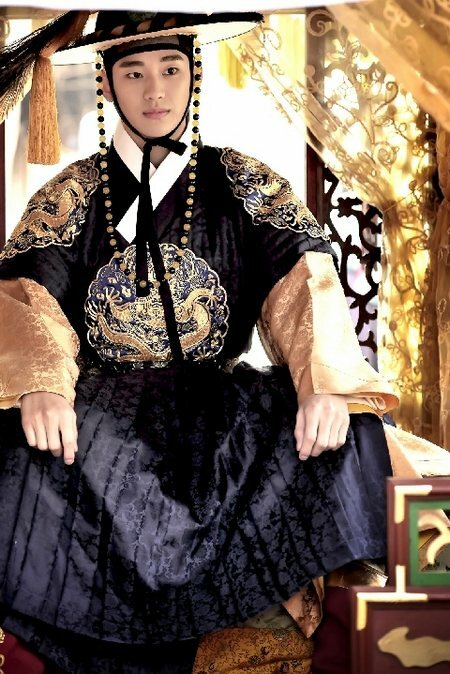 The king in The Moon that Embraces the Sun played by Kim Soo Hyun received the votes as high as 48.4%, winning the first position with almost half of the support votes casted. The king in Deep Rooted Tree played by Song Joong Ki and Han Suk Kyu ranked at second and third place with the percentage of votes of 24.5% and 12.1% respectively. In another selection poll for “most dazzling actress in sageuk historical drama,” Mooof another “play costume dazzling actress, Moon Chae Won ranked at 1st position with 25.1% of support, while Lee Young Ae and Han Hyo Joo ranked at 2nd and 3rd position with 23.8% and 21.5% of support respectively.